The moves to gang up against the re-election of Governor Akinwunmi Ambode in Lagos in the 2019 election will fail, the state Commissioner for Information and Strategy, Kehinde Bamgbetan, has said. 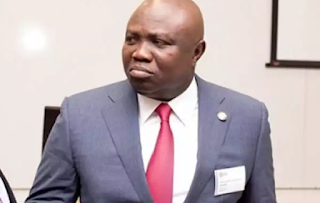 While reacting to a report about the plan by some chieftains of the APC to hijack the party’s ticket from the governor, Bamgbetan in a chat with our correspondent said Ambode’s supporters were aware of the plot but it would not fly. He said, “We are aware of the plot but we are confident that it will blow up in their faces. The revolution in the capital and social development of Lagos State under the administration of Governor Akinwunmi Ambode have generated the groundswell of grassroots support which is evident in the waves of endorsements by all classes and segments of the state and society. “This critical mass of supporters of the government within and outside the party is ready to ensure that he wins deserved victory at the primaries and the governorship polls,” he said.